This weekend, MapleStory released a 2x EXP & Drop event for our players. 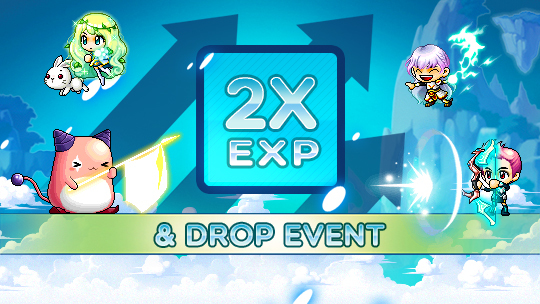 What's more, this event will stack with 2x EXP Coupons and 2x Drop Coupons, that is to say, you could earn 4x EXP and 4x Drop during the posted times! Unfortunately, these additions are only available on May 6th and May 7th, so take your time to level up and power!